Sullivan + Strumpf Singapore will be presenting works by Sri Lankan-born Sydney-based artist Ramesh Mario Nithiyendran this October. 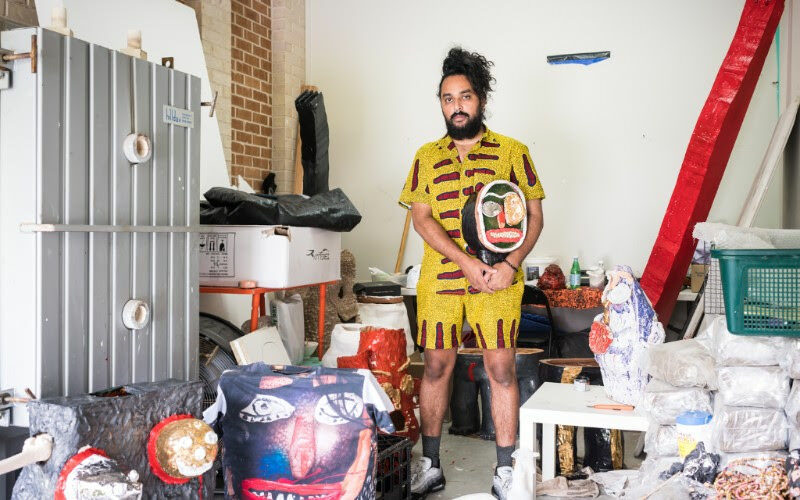 Nitiyendran’s R@MESH: Volume II will showcase iconoclastic clay sculptures that explore gender, religion, popular culture, exoticism and outsider aesthetics, received with critical acclaim as these odd figures have made their way across Asia. Known as an unorthodox clay artist, Nithiyendran has developed a unique sculptural language which has earned him an international reputation as “the bad boy of ceramics”. The self-taught ceramics artist uses traditional techniques such as coiling and slabbing to shape his work before utilising an array of experimental glazes and lustres in firing the final product. Nithiyendran’s sculpture are irreverent – adorned with unexpected objects such as garden hoses, hair bracelets and false teeth, inspired in part by representations of the Hindu deity Lord Shiva, as they break heteronormative gender binaries, reference cultures and come plastered with almost cartoonish, exaggerated expressions on their faces. Phallic in shape, they then penetrate and poke fun at the phallocentricity of sport, politics, advertising and the entertainment industry, yet the very image of a phallus is still grotesque and shocking to the eye. 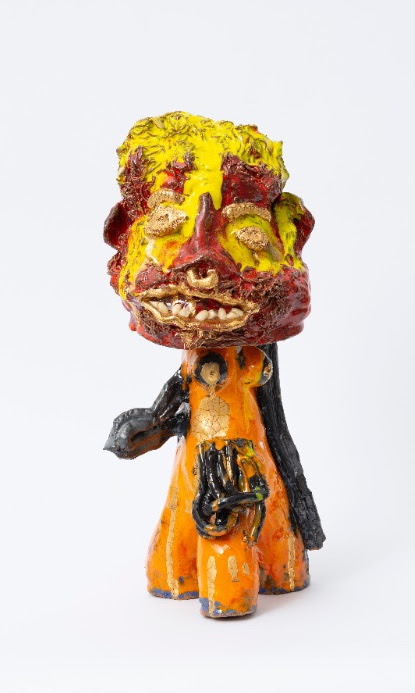 Addressing the imbalance of perspective offered by the male gaze, the sight of a phallus still shocks, and Nithiyendran responds to that with an excessive, exuberant and rambunctious laughter in clay. R@MESH: Volume II then is an expansion and continued evolution of Nithiyendran’s work, where the figures have become a self-reflexive investigation of relationships and power, holding a mirror to the world at odds. Nithiyendran leaves both bits of his personality and humour in these sculptures, self-mocking yet flamboyant in its confidence, toeing the line between narcissism and self-parody, lending a contagious peal of laughter that rings throughout the gallery.